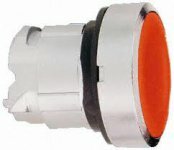 Siemens 2 Position Push Button Enclosure for use with 22MM Devices. Two Piece NEMA 1 Construction. One standard NEMA 1/2-3/4 concentric knockouts each end.